At Messer & Messer Law Offices in Port St. Lucie, Florida, our experience sets our law firm apart in the fields of personal injury and estate law. We have more than 35 years of experience in personal injury litigation and estate planning representation. You can rely on our attorneys and staff to provide you with the honest advice and skilled representation you need to pursue and protect your rights. Our lawyers have been through more than 100 civil jury trials and are prepared to fully pursue the rights of our clients. We will never settle a case for less than what it is worth unless we are expressly asked to do so by our clients. When you deserve compensation, you can rely on us to be your strongest advocate. 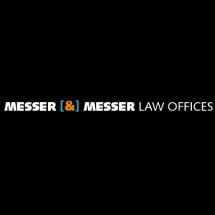 Roger Messer, our lead attorney, has practiced law in Port St. Lucie for more than 35 years, while his son, Steven Messer, is a lifelong resident. We take a personal interest in taking care of the legal needs of our friends and neighbors in the area. We know how and when to utilize our local resources to solidify the cases of our clients and welcome the opportunity to work with you on your personal injury or estate planning matter. To schedule a consultation, call our law firm today at 772-204-0904 or at toll free 866-789-9936.